Yesterday the Wall Street Journal published an article by Greg Ip which summarized the findings of an economic study conducted by Michael Greenstone, Meredith Fowlie and Catherine Wolfram. (Their original paper is entitled “Do Energy Efficiency Investments Deliver? Evidence from The Weatherization Assistance Program.”) These researchers looked at the actual energy savings and costs of a specific Weatherization Assistance Program (WAP). What they found was that the homes that took advantage of the WAP only achieved about 40% of the energy savings that engineering calculations had projected. When they compared the actual savings (not estimated savings) to the costs they concluded 1) that the investments would never pay for themselves (i.e., the cost of the energy saved over 16 years was less than the amount spent on the energy efficiency investments), and 2) the amount of money spent per metric tonne of carbon saved (over these 16 years) is $338/tonne — about 10X more than estimates for the longterm cost to society to solve the carbon emissions problem. This article caught my attention for two reasons. First, this simply illustrates again the large gap between measured energy savings and those estimated by promoters of energy effciency programs. In particular, I have seen this over and over with green buildings. All the data I have analyzed show that, on average, LEED-certified buildings do not achieve the energy savings that their designers predict. Many organizations pride themselves on their portfolio of green buildings yet the fact is, these buildings consume no less primary energy than other other buildings. Society will not arrest climate change with this approach — even though it leads to all kinds of green awards. But the second reason this caught my attention is due to the parallel these investments have with what is going on in my community of Oberlin, OH. The Oberlin City Council has made a commitment to make the City climate-positive (I guess it is like giving 110% effort). Apparently all divisions of the City are instructed to act in accordance with the City’s Climate Action Plan. The City’s Municipal Power Company has contracted with Efficiency Smart to promote energy efficiency programs for its customers. Efficiency Smart reports to the City on how much energy its programs have saved — savings that are based on projected estimates not measurements. A year ago the City had the opportunity to purchase new garbarge/recycling trucks. The City spent an extra $300,000 in order to include hydraulic-hybrid, fuel saving technology in these trucks. The City Public Works director estimated the deisel fuel savings to be 2,800 gal annually. At a cost of $3.75/gal this represents an annual return of $10,600 on a $300,000 investment. Since the trucks are expected to last only 10 years the invesment will never pay for itself. What about the carbon savings? If you work through the math you find that the reduced carbon emission (associated with less fuel usage) comes at a cost of about $600 per ton CO2. This is equivalent to $2,400 per metric tonne carbon savings. It was an utterly foolish decision to spend money this way. And this was made based on projected savings. In a few months we will see how much fuel the trucks have actually used. Don’t get me wrong. I am an advocate for energy efficiency that leads to real, cost-effective savings. But there must be a cost/benefit analysis. We cannot afford to throw money away on schemes that yield such little return. And we cannot base our decision on “projected” savings. I like the way that Wal-mart approaches energy efficiency. Perform the up-front calculation to find the projected savings. If these look good, retrofit a couple stores and measure the actual savings. If the trial study confirms the savings — roll out the same changes to all the other stores. If not, move on. This entry was posted in building energy, carbon emission by The Pragmatic Steward. Bookmark the permalink. There is some truth in what you present. But there are many aspects of a cost benefit analysis – whether for garbage trucks or buildings – that you do not mention. First, predicted performance is based on the premise that the inputted data used for the prediction is accurate and the actual use is as modeled. For example, a new building used for more hours in a year than originally predicted could appear to not perform as well as predicted. Also, buildings are highly complex and are often not built as well as an idealized energy model assumes. For example, any building that undergoes commissioning as the project is completed will find situations where system components were not installed correctly, sensors are not working correctly, etc. This does not necessarily mean the predicted energy performance is inaccurate. It means that if there isn’t sufficient oversight during construction and appropriate testing during and after construction, there will be buildings that do not perform as predicted. This is not a flaw of the energy model nor of the rating system requiring its use. It is a flaw in the process between the Owner and Contractor (and the design team, depending on the type of contracts involved) working on a building project together – often a result of cost savings – which then only costs the Owner more in the long run. When the words “on average” are used, it allows for the statistical outliers to muddy the waters of data sets. It helps with the argument because, for example, a single grossly inefficient building will increase the average energy consumption of the whole group. In the case of the garbage trucks, the post does not take into account the cost of a new, typical non-hybrid truck. The difference in cost should be what the payback is compared to, rather than the entire cost of the trucks. So, if looking at a single truck (maybe costing $150,000 new?) the difference is about $140,000 over ten years. The $10,600 savings per truck for fuel would be $106,000 over 10 years. By the way this seems low @ the 30% fuel savings of the 30-50% reduction mentioned by the manufacturer. Also not included in the analysis is any savings on wear and tear maintenance such as for the brakes. This could be another $1,000 annual savings per truck per year or another $10,000 over 10 years. The savings then is $116,000 over 10 years per truck based on today’s fuel costs. The fuel cost will likely increase over time. So, the added cost over 10 years is likely closer to $24,000 or $2,400 per year per truck. That may be worth it to some for a quieter, greener garbage truck running through their neighborhoods. Also, not mentioned is whether more recycling is being picked up in the same amount of time due to the new hybrid trucks. There is a cost benefit of increased efficiency which has potentially not been factored into this equation. Also, if the grants had not come along to facilitate purchasing these trucks, how much longer would the truck rental gone on at potentially greater cost per ton of recycling picked up? There is a cost benefit for environmental improvements that often never make it into most energy efficiency, simple pay back analyses, as well, unfortunately. First let me address your comment about “average.” Nature does not care about median green house gas emission or average green house gas emission. Nature cares about total emission. This must be reduced if we are to address climate change. Similarly this is related to the total source energy used by buildings (not average or median). For all my research I have looked at the gsf-weighted source EUI — which is identical to the total source energy divided by the total gsf (for a set of buildings) — something the EIA calls gross EUI. This is the metric that matters. It is possible that a relatively small fraction of buildings can affect this because they are very big or energy intensive — but nature doesn’t care. You can talk about other metrics — but at the end of the football game it is the final score that matters. Second, with regard to green building rating systems your points are right on. You have identified the problem — the building rating is based on simulations not actual performance. That is fine if this is just an architectural award. But governments and other organizations are mandating LEED ratings as if they matter — as if they guarantee reduced energy use and green house gas emission. They clearly do not. 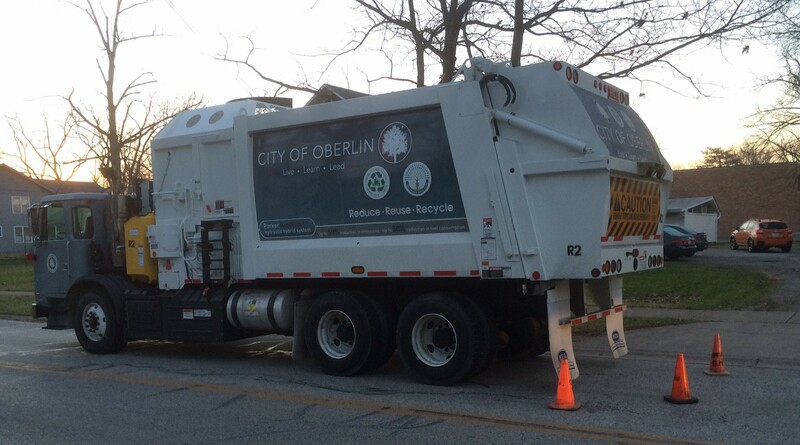 Finally, with regard to the Oberlin solid waste trucks — the trucks cost about $1.5 million each. The hybrid technology accounts for $150,000 of this $1.5 million. They could have purchased trucks that have automatic loaders without the hydraulic hybrid fuel-saving technology for $150,000 less per truck. It is possible that this investment means reduced cost for brake maintenance. But it is also possible (and evidence seems to confirm) that this experimental technology has lead to higher maintenance costs. There have been numerous days when one of the trucks has been out of commission because of problems with the hybrid controls.